A great place to spend the night or all season. This park is all new. Ownership, attitude and amenities. 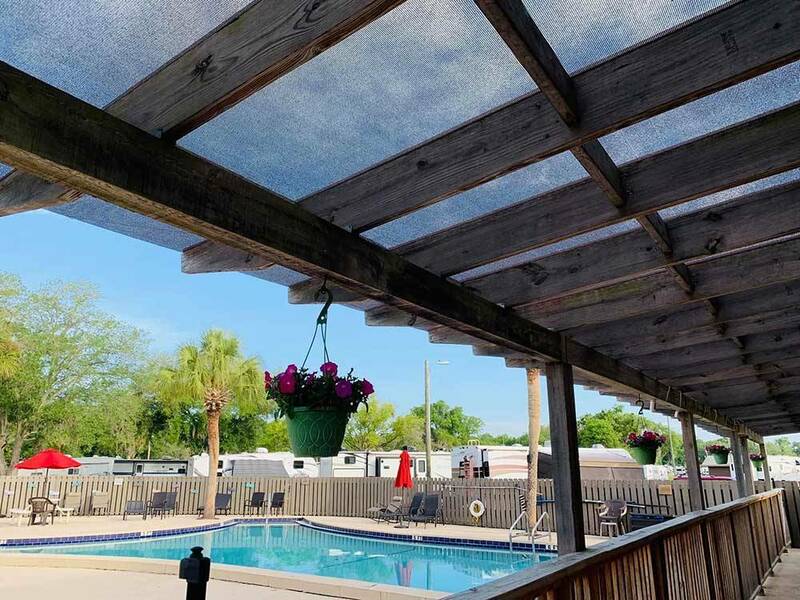 Conveniently located by The Villages and all it has to offer. 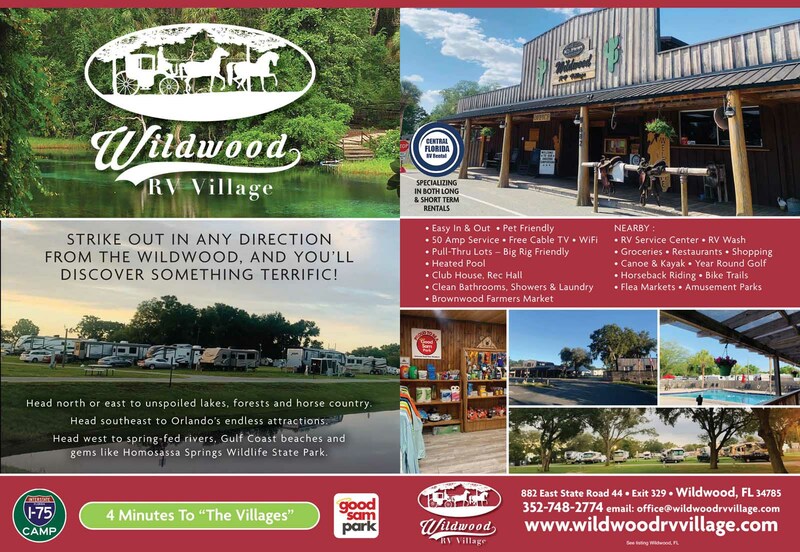 We stayed at Wildwood RV Village for 3 nights during our travels to another park for the winter. We found staff to be very friendly, helpful, and welcoming. The park has a fair number of full timers, but there was a good number of campers staying for the winter months, like us. A good number of "snowbirds" have come to stay for multiple years, which is a good indication of their happiness with the park. Our plans are to spend the month of March at Wildwood, as they are currently expanding the park by adding additional spaces. The WiFi reception is typical of most parks, nothing special. However, we have discovered reception is better using our cell phone as a hotspot, so we rarely use any park's WiFi. Cable stations are limited and the reception wasn't the best, however, it was good enough for us. If you have friends or family living in the The Villages, this park is within a few miles of the place. Overall we enjoyed our stay and will not hesitate to return in March.